LANSA education provides students with the knowledge, skills and experience to get the most out of your companies' investment in LANSA products. Students will learn how to use our tools and how the tools compliment their company's existing environment. In the development courses, they will also learn how to design and implement applications efficiently, so you can take full advantage of the product architecture. Learn from the experts — our courses are developed and taught by professionals who have years of application development experience plus an intimate knowledge of the LANSA technology. They bring their real world experience into the classroom for your benefit. Our courses are modular — so we can focus on the education needs of your particular environment which allows the flexibility to leverage your existing skillset with the new technology you are facing. This reduces the learning curve, allowing you to quickly become more productive. We believe students learn best by doing — and we apply this philosophy to our course material. The courses include comprehensive exercises that reinforce topics. These exercises make up a large percentage of our course material. Our courses educate and encourage students to work independently — by utilizing reference material and interactive help facilities, we help students to manage on their own once the education is completed. LANSA offers a variety of educational choices to suit your needs. LANSA eLearning is cloud-based training software that makes learning accessible on nearly any device with a web browser. eLearning provides a cost effective way to reinforce concepts and skills learned in classroom training or to learn new material, in a flexible learning environment. eLearning allows you to learn on your own schedule, at your own pace. 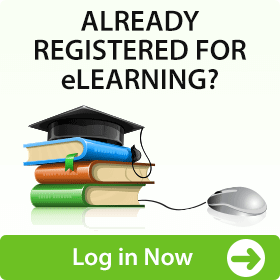 eLearning is a subscription based package of the classes LANSA offers. This allows new hires or anyone looking for a refresher to take the actual classroom training curriculum we've offered over the years as often as they like. For more information, please . We can conduct our courses at your company's facility or a location of your choice. LANSA will customize courses to meet the unique needs of your organization. Your staff will learn in the comfort and convenience of their own environment. This minimizes interruptions to your daily business operations. Classroom courses are run at our LANSA offices and are open to anyone.